Description: Hatje Cantz, 2010. First Edition, Hardcover. Near Fine Condition/No Dust Jacket. 9783775726047 Erased pencil marking to top corner of half title page, otherwise as new, contents bright and unmarked. Over the last 40 years, Ingvild Goetz has assembled one of the world s most important and adventurous collections of media art. 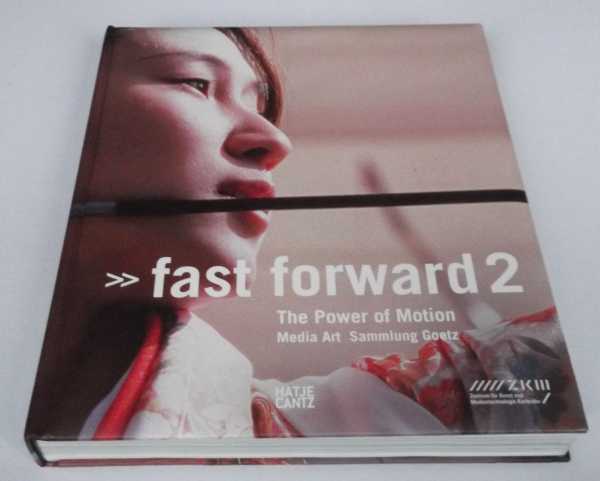 Following the acclaimed Fast Forward compilation of 2004, Fast Forward 2 features recent film and video by artists including Francis Alys, Matthew Barney, Keren Cytter, Nathalie Djurberg, Omer Fast, Mona Hatoum, Raymond Pettibon, Pipilotti Rist and Ryan Trecartin. German text, English translation at rear. 319 pages. Text is in German, Engish. Quantity Available: 1. Shipped Weight: Overweight. Category: Art & Design; German, Engish Language; ISBN/EAN: 9783775726047. Pictures of this item not already displayed here available upon request. Inventory No: dscf5636. This book is extra heavy, and may involve extra shipping charges to some countries.